A life-affirming mixture of displacement and reassurance occurs whenever a good punk song hits those it’s meant to, setting the outcasts apart from the dregs of modern life, and then telling them it’s ok. 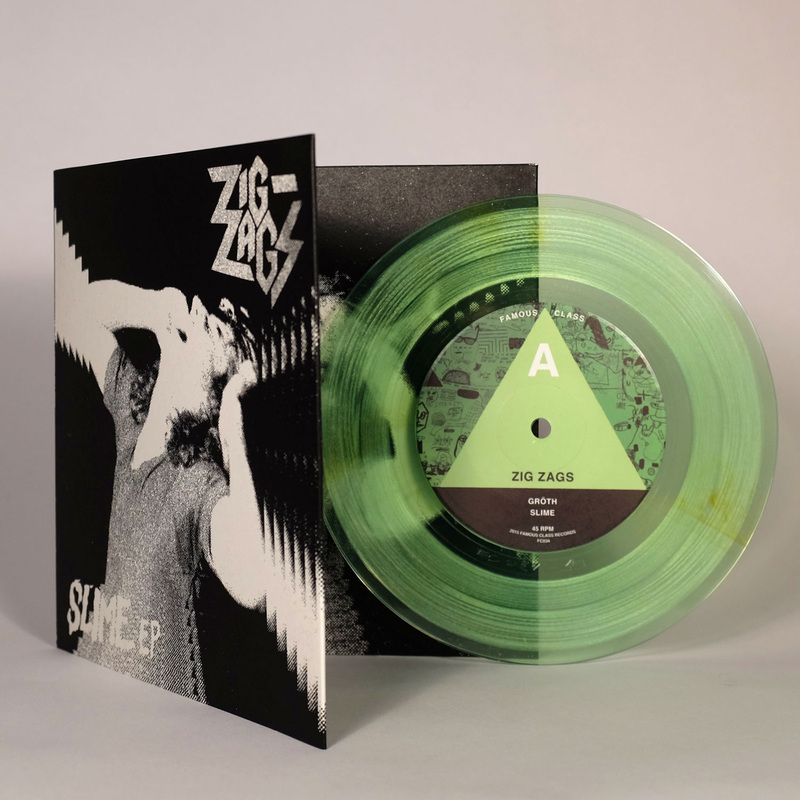 Such notions of angst and solidarity are at the core of LA punk outfit Zig Zags’ forthcoming four-song 7-inch Slime EP, out August 11 on Famous Class Records. The first single, “Sunken City” is an anthemic guide for making it through the ennui and stagnation of the everyday, injecting universally sympathetic and human lyrics into the uniting force of a driving rhythm section and incensed vocals. Gainy bass and a steady pounding of 1-2-3 drum hits start the track, before screechy guitar feedback quickly sets its foot in the door and impassioned punk overdrive takes over. Simplistic, yet pleasantly melodic power chords rage under lyrical fellowship, inquiring, “Where were you when you found out what your life was all about? Were you out like me, just wasting time?” The second verse instructs, rather than seeks, pulling from life experience as a misunderstood punk, saying, “Take a ride, open up your mind, not afraid of what’s inside. If we all could survive, so will you.” A dual goal is reached in such sentiments, in Zig Zags’ offering a hand to those who may be struggling, while getting their own release through their own music. You can stream “Sunken City” below, and scroll on for upcoming Zug Zags tour dates.